My kids and I recently completed a unit study on ants. QBoy, in particular, was very excited about our ant unit as he loves all things science, especially anything having to do with animals. In the upcoming weeks I’ll be sharing a number of ant activities as well as several ant printables that I created as part of our ant unit. 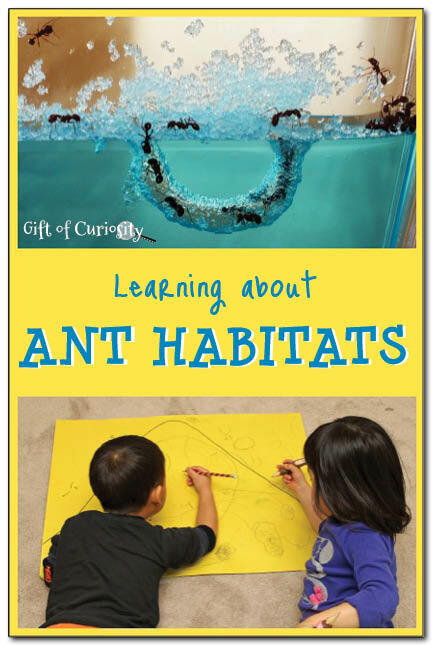 Today I’m sharing some of what we did to learn about ant habitats. Ant habitats are really fascinating. There was so much that *I* didn’t know about ants and their habitats that I think I learned as much as my kids while we did this unit! I had no idea, for example, that ants create different rooms for storing the eggs, the larvae, and the pupae. I also had no idea just how well organized a typical ant habitat is, despite the fact that there is no leader who is directing all the work. Ant habitats truly are remarkable! 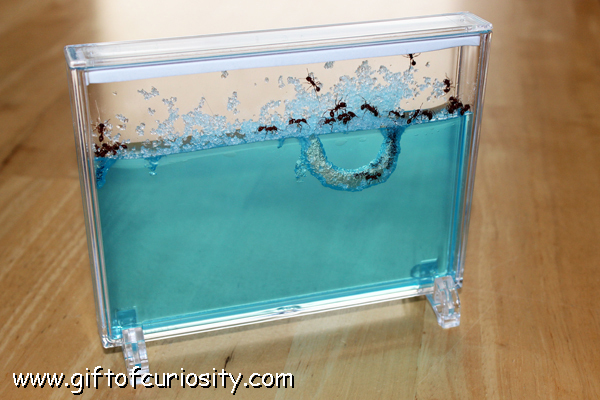 Once we had our ant farm, we sent away for some live harvester ants from AntsAlive. 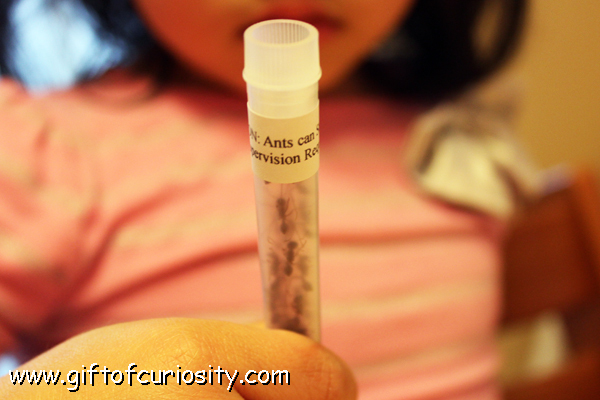 My kids were so excited the day the ants arrived in the little tube! Harvester ants can sting, so it is very important to be careful when transferring them to the ant farm. Per the instructions, we placed the tube of ants in the fridge for 10 minutes. By cooling them down, they become less active, which makes it easier to place them into the ant farm without any escaping. While the ants were cooling in the fridge, we prepared our ant farm. The instructions said to poke a few holes in the gel to give the ants some places to begin digging their tunnels. By the next morning, the ants had already begun tunneling in the gel! In addition to raising ants in our ant farm, we read lots of books about ants. One of our favorite books was Ant Cities . Inside the book is a fun illustration of an ant habitat showing all the tunnels and rooms that ants dig. Every time we read the book my kids would ask me to point to each room and describe what was going on. 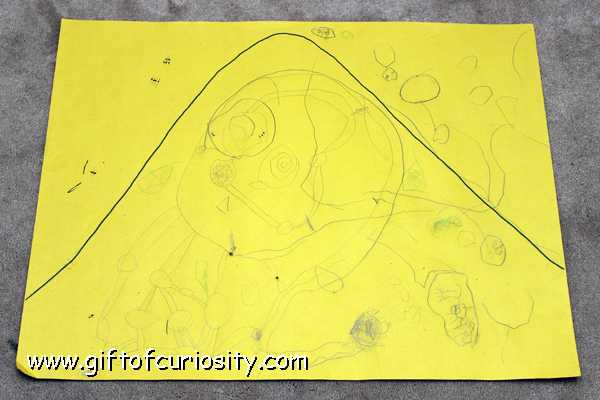 Because my kids were so interested in the ant tunnels, we decided to draw our own ant city. 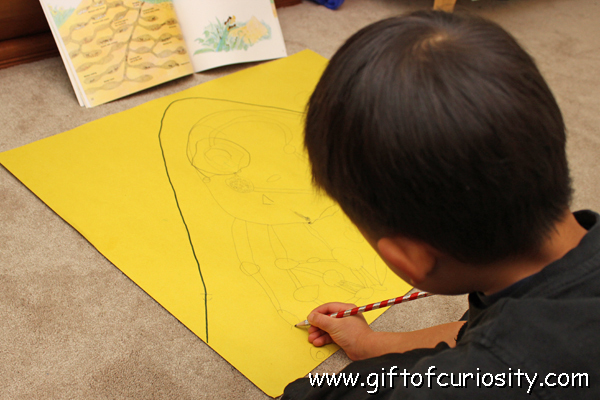 I had the kids study the picture of the ant city from the book. And then they started drawing. QBoy was intent on making the rooms for the ant eggs. 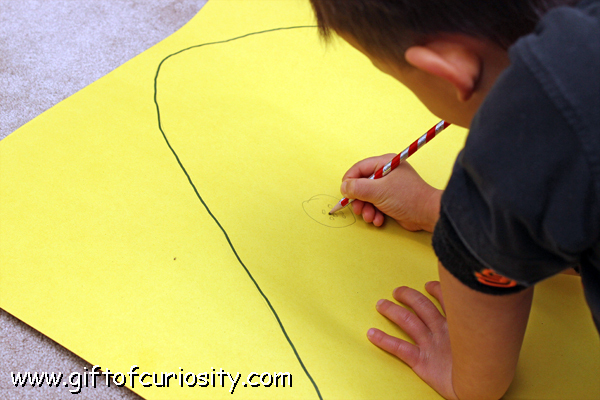 And the kids drew tunnels to connect the rooms in the ant city. They worked for a very long time to get all the details right. They made rooms for the ant queen, the eggs, the larvae, and the pupae. They made rooms to store food. They made tunnels for the ants to get in and out of the city. They showed the queen ants and males flying away to start new ant cities. They kept going to the book to see what else was there that they could draw. This was a really fun project for reinforcing all the learning they had done. Here is their final ant city. I love this, what a fantastic project to do with the kids- I will have to get one of these myself, my kids would love this! 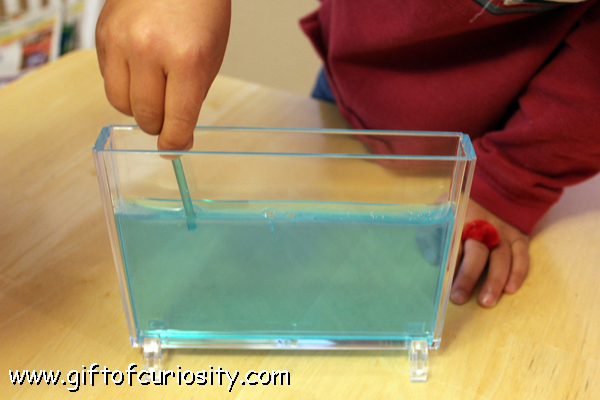 Thank you for sharing- I think the gel option is a great way to see how the ants tunnel their way through! The gel worked out very nicely for us. I can’t say for sure if a sand habitat would have held up as well – maybe it would have. But I can certainly say that the gel did great with all the holding and moving and shaking my kids did with the habitat. I think purchasing the Harvester ants is considered preferable for a few reasons, including (1) their large size, which makes it easy to see them in action, and (2) the fact that they will only send you female worker ants from the same colony (because ants from different colonies will fight). All that being said, you should be able to use ants from your backyard if you can capture them and get them in. We watched an ant farm at our library last year. I was interesting! Maybe one day we will get one of our own to study; I’m sure my bug lover would enjoy it! 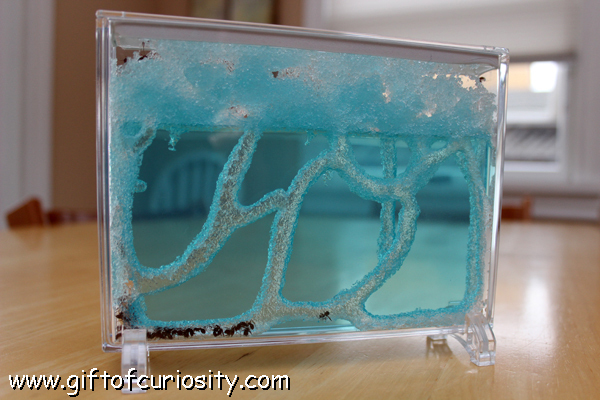 I have never seen an ant farm like this before. Very interesting! Thanks for sharing during the Thoughtful Spot Blog Hop! I really want that ant habitat it looks so cool! 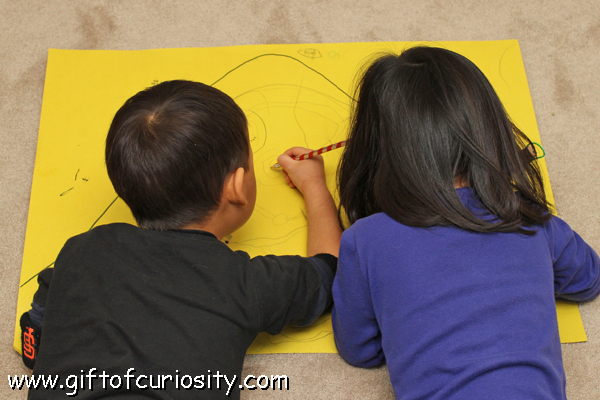 Thanks for linking up to Science Sunday! How long did the harvester ants live in the gel? I don’t recall exactly, but it was at least several weeks. In fact, I think some of the ants may have lasted a few months.